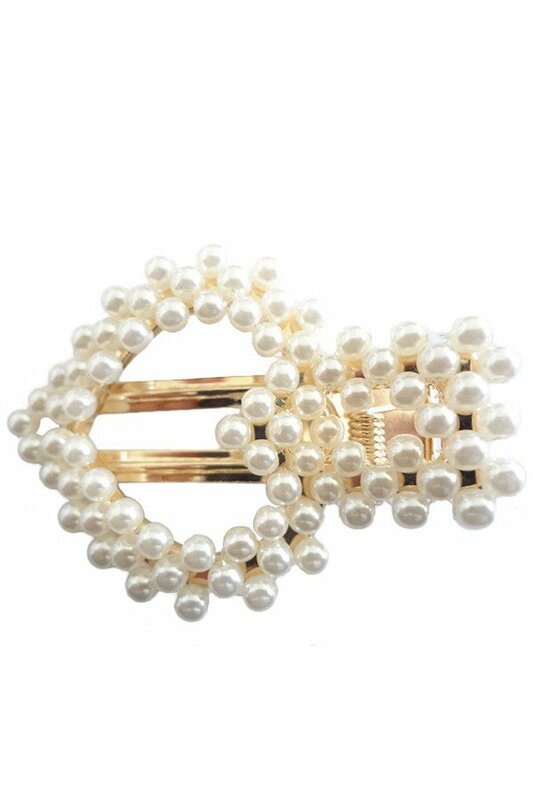 Description: Heart cut out hair clip with faux pearl clusters. Approx. 2.5".